We absolutely love how our industry is evolving... too often in the past, we found ourselves talkingto clients who quite frankly, didn't care about the return on investment for the work we carried out for them.Many were happy about the additional brand exposure that our efforts created, others just pleased that the number of 'likes' and 'follows' had increased. While many agencies would be quite happy with having clients such as these, for me, this made me feel quite uncomfortable. In my mind, would clients continue to invest in channels or strategies without truly understanding the actual return from these efforts? Maybe in the short term but for a number of reasons, any business that continues to invest in marketing without caring about the impact of this on revenue isn't going to be a client for any extended period of time. For me, having a client that holds us accountable to ROI and actual revenue figures enables us to build a much closer relationship (or dare I say it, partnership) that has the potential to scale quickly. I want us to be responsible for how much revenue a client makes. It's fair to say that every time there is financial uncertainty in a market, businesses get more prudent with how they invest their money. While the market in Dubai seems fairly stable, we've noticed a considerable shift where both B2B and B2C businesses are asking about return on investment (ROI) and marketing performance metrics that provide significant data that will improve the efficiency of the business not just from a marketing view but also from a sales perspective. And that's where the biggest shift is. We're now entering an era where businesses are really trying to find the critical link, where marketing efforts have a direct correlation to lead generation and a company's sales processes. Marketers are asking us how they can support their sales teams and genuinely, after almost a decade of working within the UAE, this is the very first time that these types of questions are being asked as frequently as they currently are. For companies, this is a wonderful change and highlights the importance of the sales and marketing efforts being fully aligned. The impact of this is actually quite simple. In our experience, when marketing and sales teams work together, great results can be obtained - quickly. When either of these departments are not cohesively aligned, it's always much more difficult to achieve the desired results. But it's not just alignment between the two teams that is required to be successful. As technology has evolved, we've realised that Marketing and Sales software tools are also required. 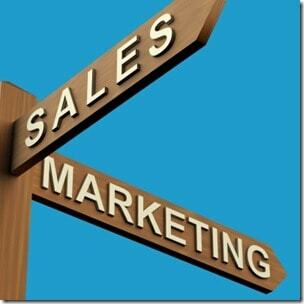 What is Marketing and Sales Software? One of the software platforms that include many, if not all of the features above is HubSpot and is currently used by dozens of companies in the UAE from small start-up businesses to large, multinationals. The platform allows businesses to create marketing campaigns as well as track the sales results on the back of this activity and for many businesses allows them to track the exact dollar amount generated from a marketing campaign. Should a CRM be in place BEFORE a Marketing Strategy? When we speak to clients looking to run extensive or long-term marketing campaigns, the first question we ask is often "what CRM do you have in place?". We believe that in order to truly understand the impact of a marketing campaign, tools that allow you to measure the results need to be firmly in place before the campaign is launched. Not only does this allow you to track and report results, but it also allows you to understand the impact of your campaign in real-time, giving you the possibility of changing tactics mid-campaign should the results not be as desired. The importance of this cannot be understated and can turn a failing campaign into a winning one by simply understanding how it's performing. Are you looking to launch a new marketing campaign and really want to understand the results? Are you working with a marketing agency that doesn't link their efforts with your sales revenue? Talk to the team at Nexa. We're passionate about making more money for your business. Complete the form on this page and one of our team will be in touch.